Suitable for many jobs including electricity work. 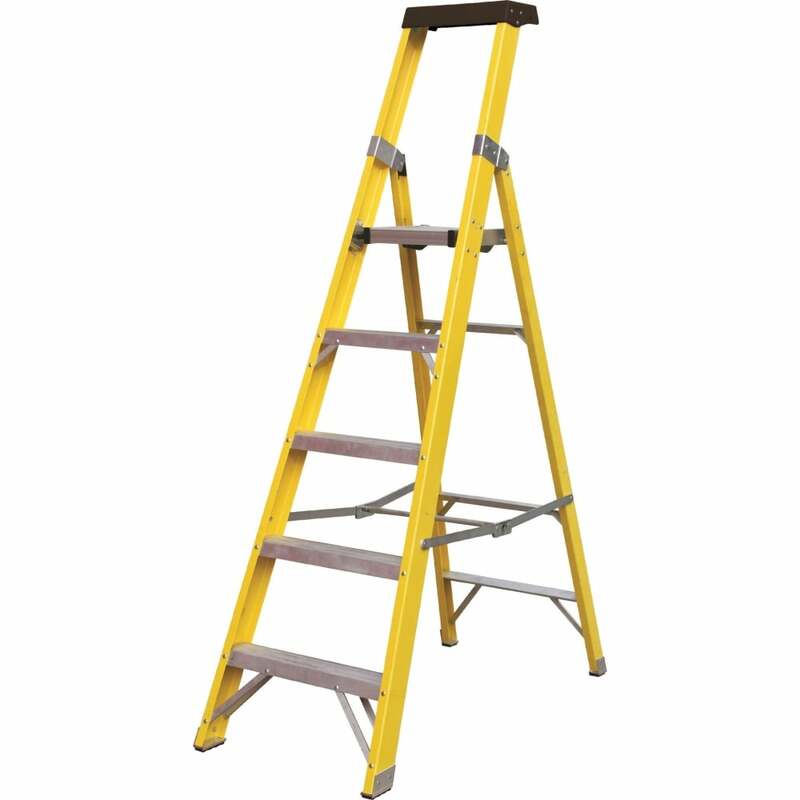 Heavy duty Fibreglass stiles with large serrated Aluminium treads and platform. Fitted with wide anti slip treads for safety and comfort. High rail incorporating handy plastic tool tray. Certified to EN 131 Professional and electricity insulated with 1-30,000v bleed ratio.